It is also possible to view folders in a tree view. 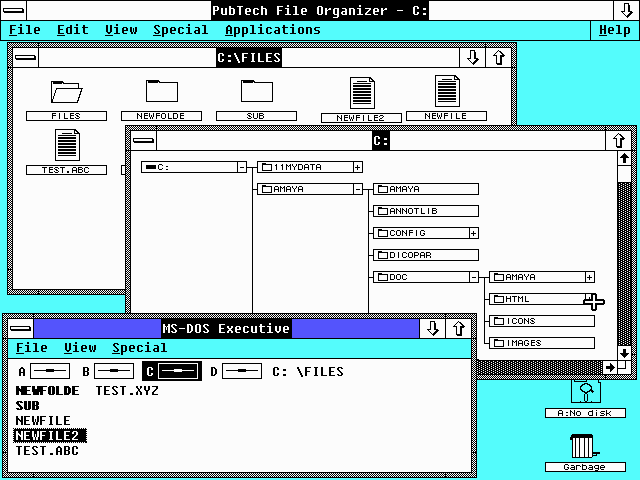 This screen shot also shows the Windows 2.03 MS-DOS Executive. 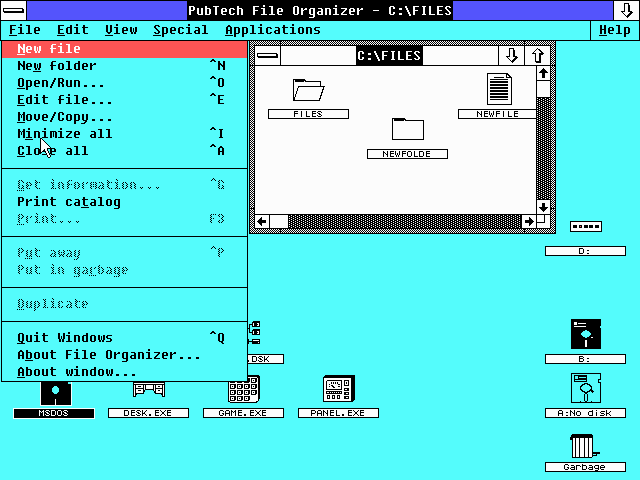 Normally with Windows 2.x the MS-DOS Executive is all you have! . The "Zoom" view is kind of weird but vaguely useful if you have a large number of files in a folder. File management, of course, is all done through drag and drop. And just like a Mac you can drag to the Garbage. The Garbage folder is treated like a folder but, similar to the desktop, is not an actual folder. It is more like list of files that are to be deleted when the Garbage is emptied. The File Organizer also has a built in undelete disk utility that can recover deleted files. This feature only works on FAT12/16 disks that are "32 megs or less". 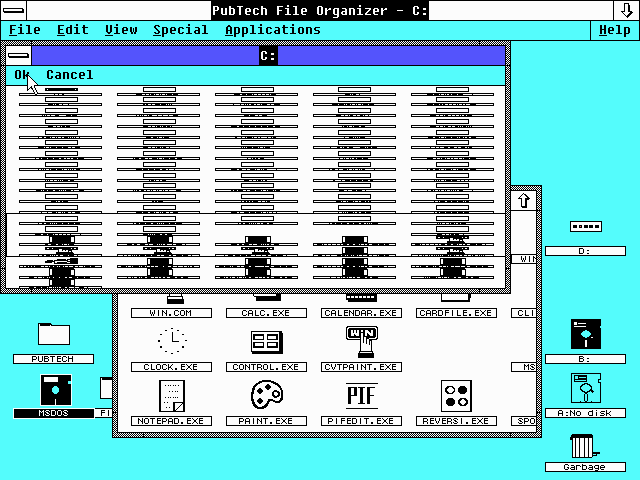 Other built in disk utilities include a disk copier, disk eraser, and disk formatter. 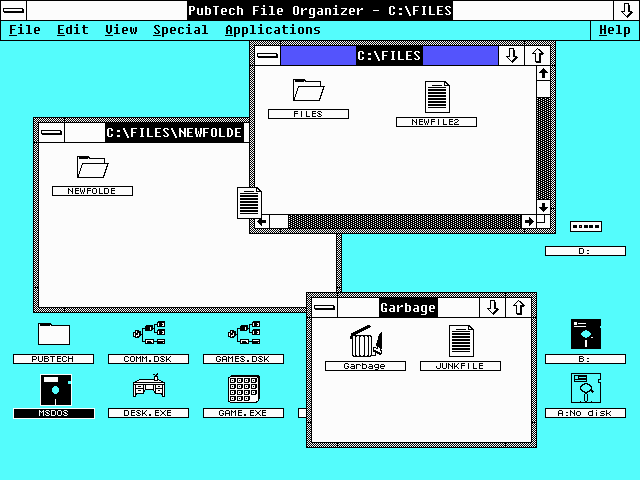 There is even a file menu item for creating new folders or generic new files.